Front Suspension: Independent Dual A-Arm/7 in. Rear Suspension: Independent Dual A-Arm/7 in. MSRP does not reflect destination or other dealer vehicle preparation charges. KYMCO USA makes every effort to present the most current specifications and model features. Changes in equipment, colors, availability and specifications may change without notice or obligation. Some models are shown with optional equipment. The ATV Safety Institute's Golden Rules: Always wear a DOT-compliant helmet, goggles, long sleeves, long pants, over-the-ankle boots, and gloves. Never ride on paved roads except to cross when done safely and permitted by law - another vehicle could hit you. 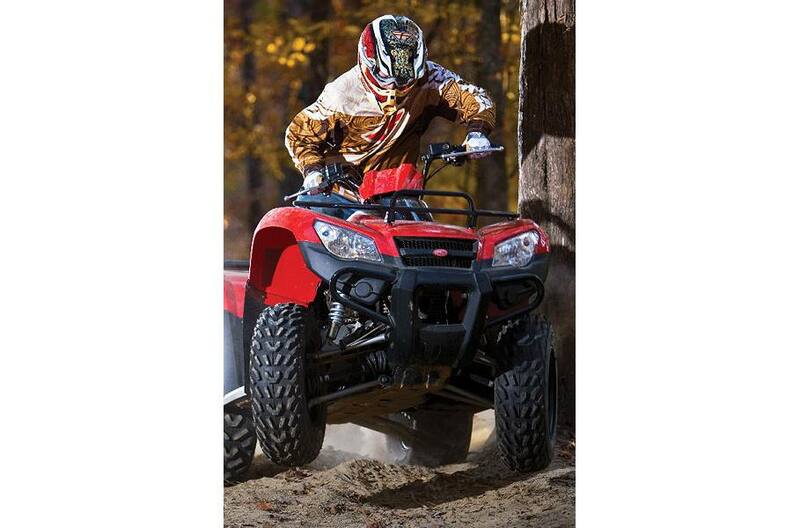 ATVs are designed to be operated off-highway. Never ride under the influence of alcohol or drugs. Never carry a passenger on a single-rider ATV, and no more than one passenger on an ATV specifically designed for two people. Ride an ATV that's right for your age. 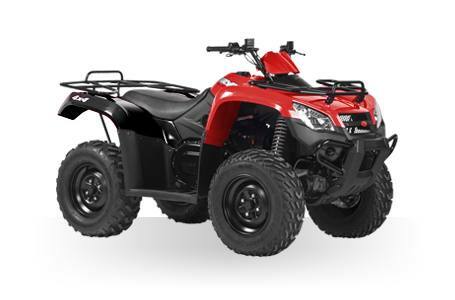 Supervise riders younger than 16; ATVs are not toys. Ride only on designated trails and at a safe speed. Take a hands-on ATV Rider Course and the free online E-Course. Visit ATVSafety.org or call 800-887-2887. 83.6 x 43.3 x 46.9 in.